Dubai, 19 August 2018: Make the most important day of your life even more unforgettable with the Wedding Perfumery Station by LOOTAH, a bespoke service that makes you and your guests feel extra special on your wedding day. The wedding perfume station is an age-old practice and LOOTAH is preserving this tradition with its exquisite collection of delicate fragrances that can be enjoyed in the comfort of a plush perfume station. As the wedding season fast approaches, brides and grooms looking to mark the beginning of a lifetime of together, and what better way to treasure these precious memories, than with an extraordinary evening filled with the fragrance of love and commitment. The perfumery stations at local weddings are a fundamental part of Arabian culture and offer a wonderful opportunity to discover the unique and traditional mix of scents, present in the natural habitat that surrounds us. Beautifully illustrating this tradition, LOOTAH, a renowned curator of the richest ouds and oriental perfumes, sets up luxurious perfumery stations at weddings, to give guests an experience like never before. 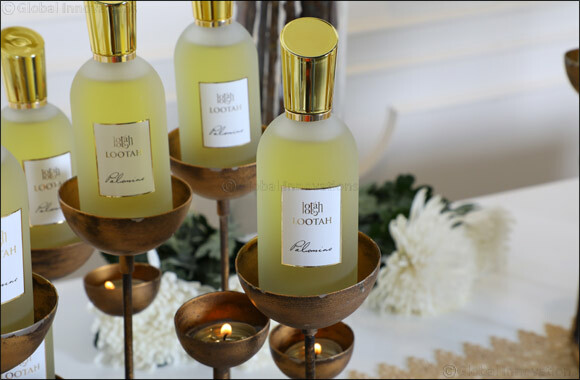 LOOTAH highlights the exclusiveness of every wedding with its bespoke fragrances. The elegantly designed perfume stations house a variety of fragrances that captivate the senses. It allows guests to experience a new level of elegance as they enter the wedding, while emanating a relaxing and sweet fragrance to make the day more magical. LOOTAH wishes to be a part of this celebration of the unity of love with its elegant and opulent fragrances and mark the beginning of a new journey with the bride and groom. The Wedding Perfumery Station by LOOTAH is available starting from AED8,000.